Occams is a one-stop advisory firm to small and mid-sized worldwide. We provide a wide range of services to help small businesses compete, grow and avoid pitfalls. Our services include financial and growth strategy, human capital hiring, business insurance, risk management and contracts, tax planning and accounting, and marketing and branding. Running a business is challenging. Finding support for your business doesn’t have to be. Occams Advisory is the premier, full-service advisory firm for small business clients. We serve not only as a trusted advisor, but also as a key growth partner as we support our clients through the entire business lifecycle. We combine Fortune 500 expertise, our own entrepreneurial experience and a global, diverse perspective to deliver world class advisory services to small businesses. We help entrepreneurs make sense of all aspects of their business by providing clarity out of complexity through proven, customized and integrated solutions that drive long-term, sustainable growth. Founded in 2012, Occams Advisory was founded to fulfill an unmet need – the need for small businesses to have access to an affordable, one-stop shop for strategic advisory and functional services. Through the founder’s own entrepreneurial experiences, as well as from client feedback, Occams Advisory was created from day one to serve the small business market by addressing the most pressing needs of entrepreneurs. 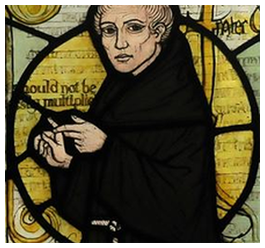 Our firm’s name is inspired by the principle of Occams Razor, propounded by William of Occam (1288-1348 AD), an English Franciscan friar and scholastic philosopher. Occams Razor is a line of reasoning that says the simplest answer is often correct. Occams Advisory uses this spirit of problem-solving to provide simple solutions to complex problems, focusing on tangible results, measurable impact and continuous improvement. Our philosophy and methodology focusses on simplifying complexities. Excessive options or choice can lead to “choice paralysis”, which further results in client dissatisfaction.